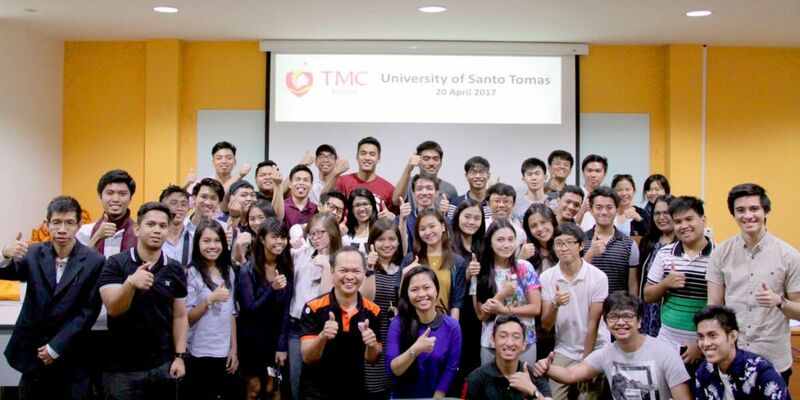 TMC Academy hosted a group of students from University of Santo Tomas on Thursday, 20 April. This visit was initiated by our working counterparts in the Philippines, to introduce Singapore from an academic viewpoint, to their aspiring University students. 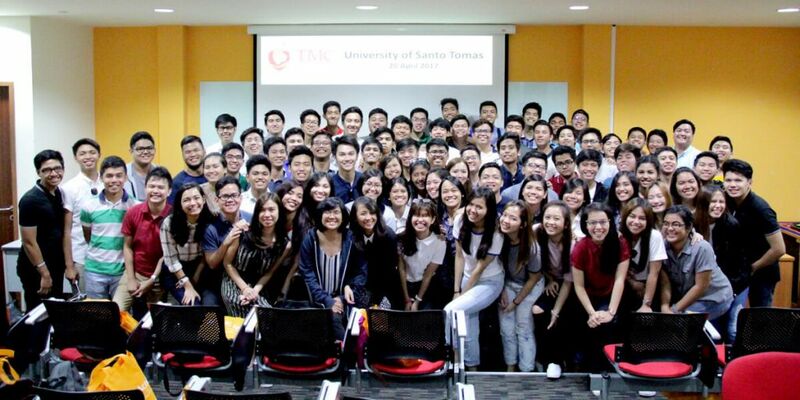 We gladly received them, and did our part as hosts by conducting seminar talks and bringing them on a campus tour, to catch a glimpse of student life in Singapore. The students arrived in 2 batches, as it was a huge group and we wanted to ensure it was a comfortable session with quality attention given. 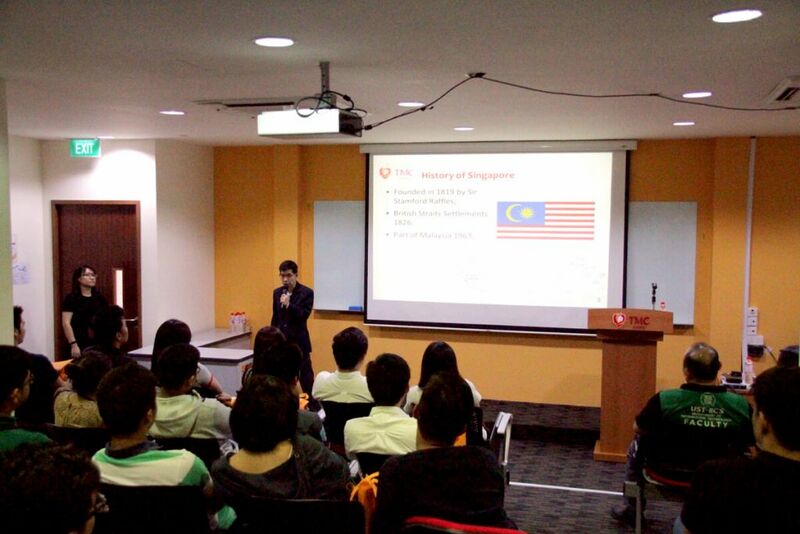 We started the day with a talk given by our Principal Lecturer of Business School, Mr Raymond. He introduced various aspects like the history, economy and living culture in Singapore. He also went on to share about TMC Academy, as a global local private education institute with a diverse range of students, from over 36 countries. 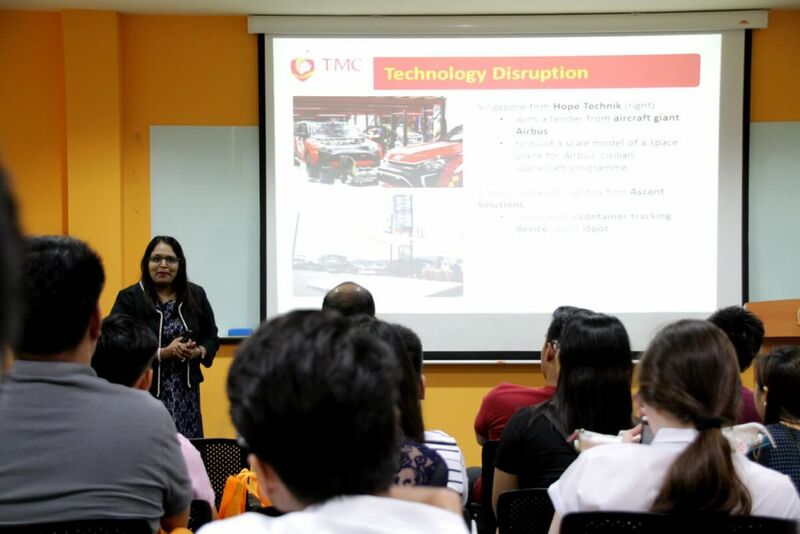 Next on, our Dean of IT, Digital and Mass Communication School, Ms Preethi, gave an insightful session on topics like Technology & Social Revolution, jobs susceptible to Computerisation and the current market demand for Infocomm Technology talents. 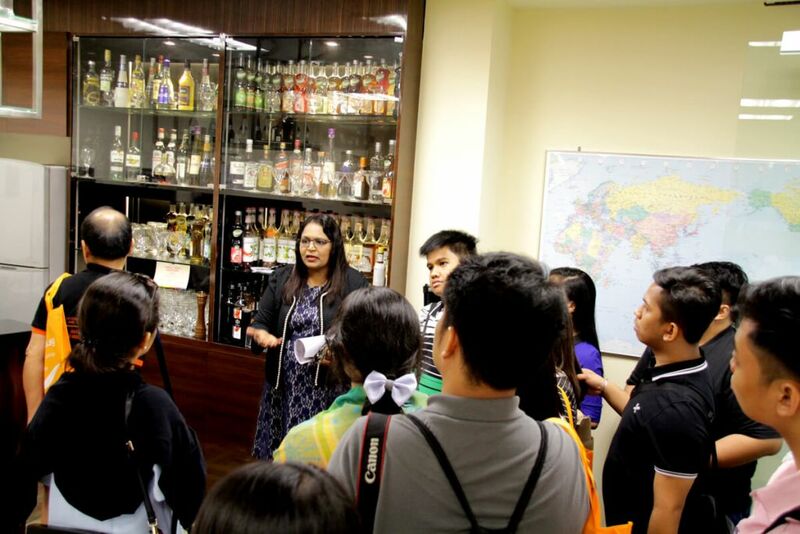 Students from University of Santo Tomas ended their visit with a campus tour, led by our Student Services Team and Lecturers. 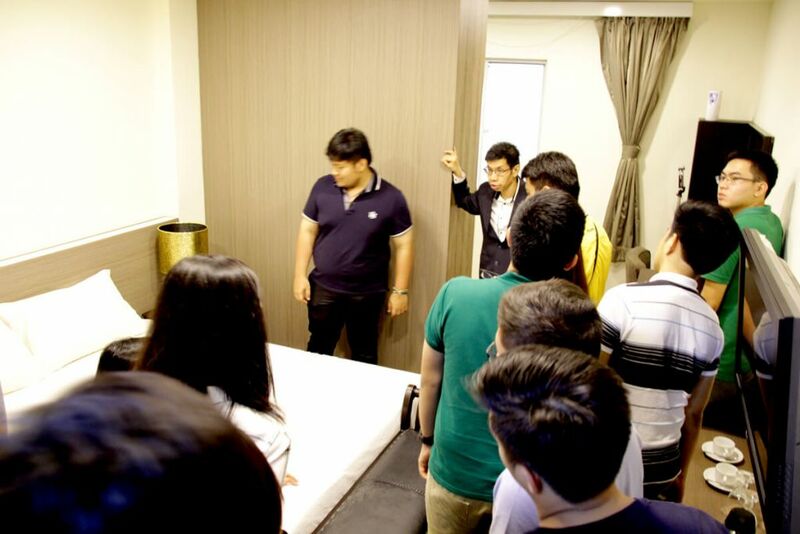 The sites included our Food and Beverage Room with a fully equipped bar and our Accomodation Room that replicates a hotel room setting for our Tourism and Hospitality students. Then, there is the Mass Communication studio with production equipment and proper film set. 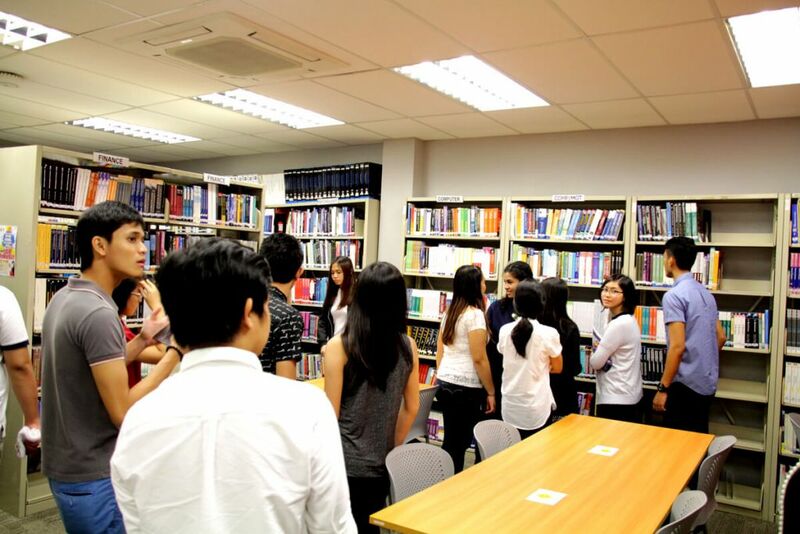 Finally, the students hung out at our student lounge and library, where they had a chance to interact with our lecturers. 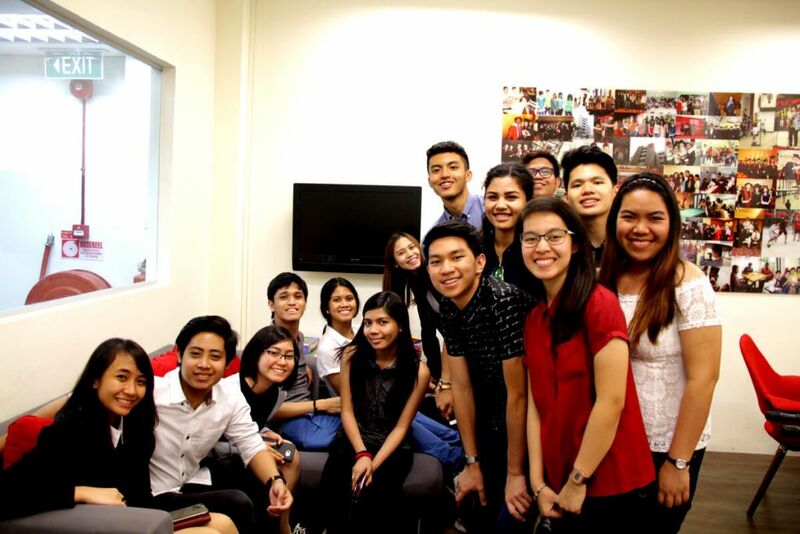 Of course, we had to photograph the smiling faces of our visitors to mark this valuable hosting experience. This was one of the largest group TMC Academy has ever received and we hoped the hospitality provided left a good impression on our young guests.